Scottscope: At Long Last...The Bobby Digital Movie! The elusive Bobby Digital movie will finally see the light of day. Titled Bobby Did It, the film will be showing at this years Staten Island Film Festival, where The RZA is serving as celebrity chairman. 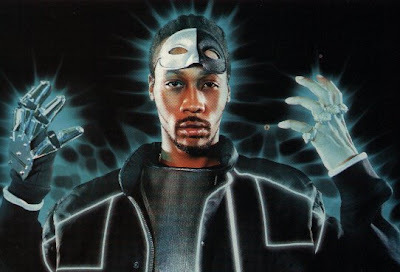 The film was directed by RZA and Ralph Mcdaniels of Video Music Box fame. In a story that bears more than a passing resemblance to The Warriors, Bobby Digital (RZA) is accused of murder and must fight to clear his name. Hopefully Bobby Did It will get a proper release on DVD following its premiere at the SIFF. It would be a shame if RZA decided to return it to his private vault without giving the rest of the world a chance to enjoy his cinematic vision. Seeing as how it was completed years ago, it's safe to say that RZA has probably grown as a filmmaker since then. It should be interesting to compare it's cinematic merits to that of Wu-tang Vs. The Golden Phoenix, and then compare the both of them to The Man With The Iron Fist.